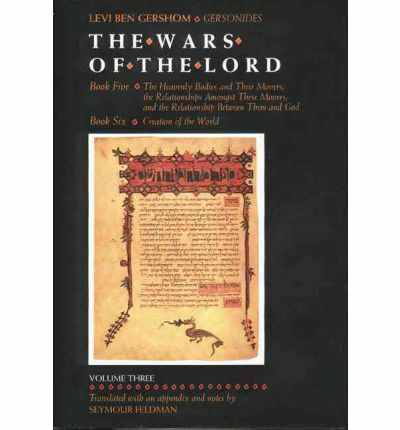 Milchamot Hashem (Milchamot Adonai) – The Wars of the Lord is a classic Jewish work of philosophy written by Rabeinu Levi Ben Gershom (Ralbag), otherwise known as Gersonides. He lived in Provence in the town of Bagnols in Languedoc, France, in 1288-1344. In the secular world he was known by his Provencal name, Leo de Balneolis. Until now, his book, Milchamot Hashem has been published twice. First, in Riva Di Trento in 1560 (#128 in our database) and then again in Berlin in 1923 (#148 in our database). An English translation was published by JPS in three volumes and can be purchased below. However, a key part of the work has been omitted in both editions. Book V Part 1, otherwise known by a separate name as Sefer HaTechunah (Book of Astronomy), remained in manuscript, until now. 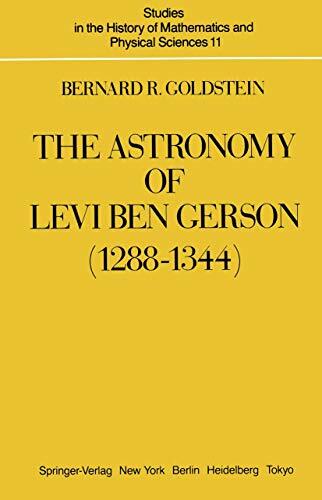 Levi’s most important scientific achievements are contained in Sefer Tekhunah (Book of Astronomy), in fact, part 1 of the fifth book of his main philosophical work, Milhamot Adonai (Wars of the Lord). Preserved in Hebrew and Latin version, it is a lengthy work, divided into 136 chapters, which contain planetary observations and research from 1321- 1340, and is based on a profound understanding of the astronomical tradition as well as on a sound criticism of some of his predecessors, mainly Prolemy and al-Bitruji. Helaine Selin, Encyclopaedia of the History of Science, Technology, and Medicine in Non-Western Cultures, Springer Science & Business Media, 2013, entry Levi Ben Gerson, p. 509. There are a few extant manuscripts of Sefer HaTechunah and many of them have been posted online. The best preserved and complete manuscripts are from the National Library of France (Bibliothèque Nationale de France), in Paris, Hebreu 724 and Hebreu 725. In addition, there is a partial manuscript Hebreu 696. #454) Bibliothèque nationale de France, Département des Manuscrits, Hébreu 724. Dated 1397. Title: Lévi ben Gerson. מלחמות השם. #455) Bibliothèque nationale de France, Département des Manuscrits, Hébreu 725. Dated 1510. Title: Lévi ben Gerson. מלחמות השם. #456) Bibliothèque nationale de France, Département des manuscrits, Hébreu 696. Dated 1401-1500. Title: Recueil de textes philosophiques. Besides, these three, there are two more partial manuscripts, one in the British Library in London, Ms. British Museum hebr., Add 26921, and in the National Library of Naples in Italy, Biblioteca Nazionale di Napoli, hebr., III F.9. The Naples manuscript is not online yet, however the British Museum Manuscript hebr., Add 26921 is online and can be read on the British Library website. a) British Library, hebr., Add 26921. Dated 1400-1499. Title: Collection of Astronomical works. Folios 12r-45r: Levi ben Gershom (לוי בן גרשום), Luḥot astronomiyim (לוחות אסטרונומיים), The astronomical tables (folios 20v-45r) follow a short exposition, which begins on folio 14r. See further Goldstein, B.R., The Astronomical Tables of Levi ben Gerson (New Haven 1974), p. 77.
b) Naples biblioteca Nazionale, hebr., III F.9, 375 folios. It includes table of contents and chapters 1-95 only. There are no tables. The Italian libraries manuscripts get posted onto the InternetCulturale.it website, so eventually the Naples manuscript will show up there as well. There are 2 manuscripts of the Latin translation of Sefer HaTechunah, both in the Vatican Library, Mss. Vatican 3380 and Mss Vatican 3098. So far, neither of them are online, but should be posted soon in the Latin section of the Vatican Library. c) Biblioteca Apostolica Vaticana. Mss. Vatican 3380.
d) Biblioteca Apostolica Vaticana. Mss Vatican 3098. Finally, there is a complete manuscript of Milchamot Hashem in the Berlin library, in Germany (Staatsbibliothek zu Berlin), Ms. or. fol. 4057, dated 1553, from Rovigo, Italy, which includes Book V, Part 1 starting on folio 53r. #457) Staatsbibliothek zu Berlin – Preußischer Kulturbesitz. Ms. or. fol. 4057. Dated 1553. Title: Milhamot ha-shem. The first 20 chapters of the The Book of Astronomy have been published in English by Bernard Goldstein and can be purchased below. For any issues contact us at support@seforimonline.org.